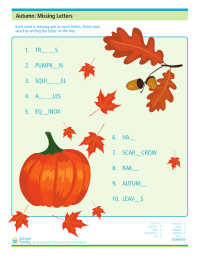 Fill in the missing letters on the fall-themed missing letters worksheet. 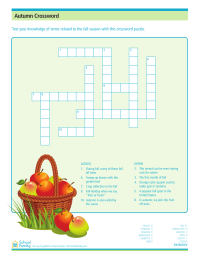 Test your knowledge of fall terms with this fall-themed crossword puzzle. 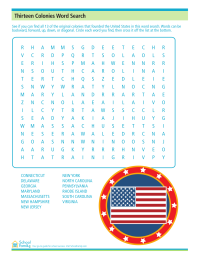 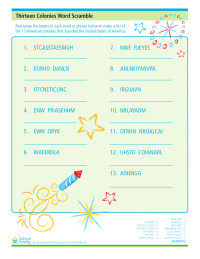 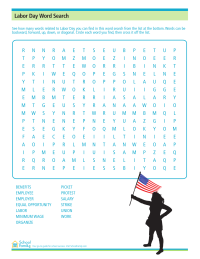 Rearrange the letters in each word or phrase to make a list of the thirteen American colonies.